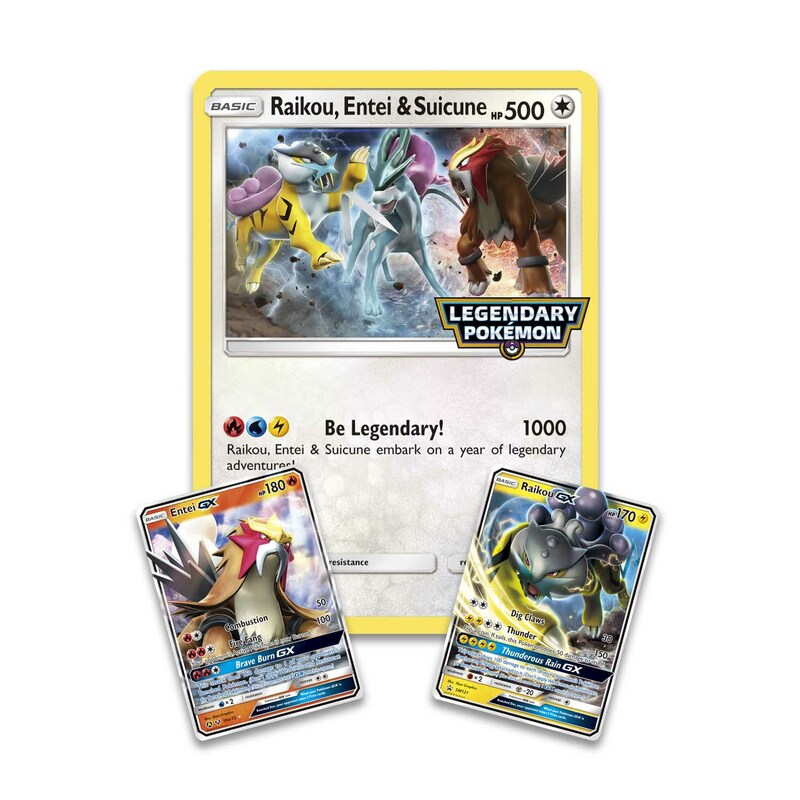 Raikou, Entei & Suicune—Ready for Battle! 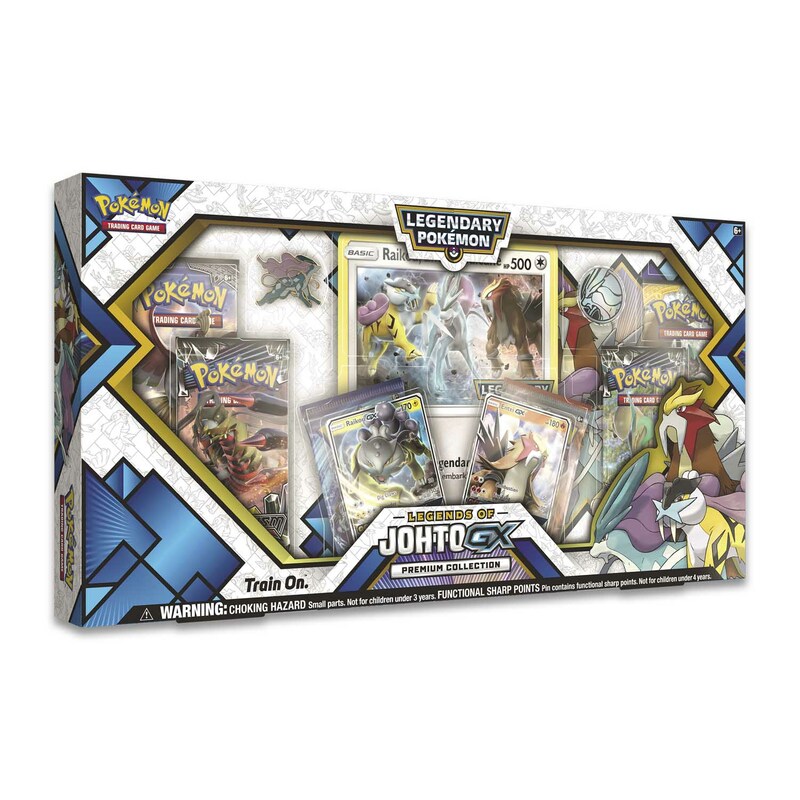 The raging storm of Raikou, the burning wrath of Entei, and the shimmering aurora of Suicune—they’re all here in the Legends of Johto GX Premium Collection! 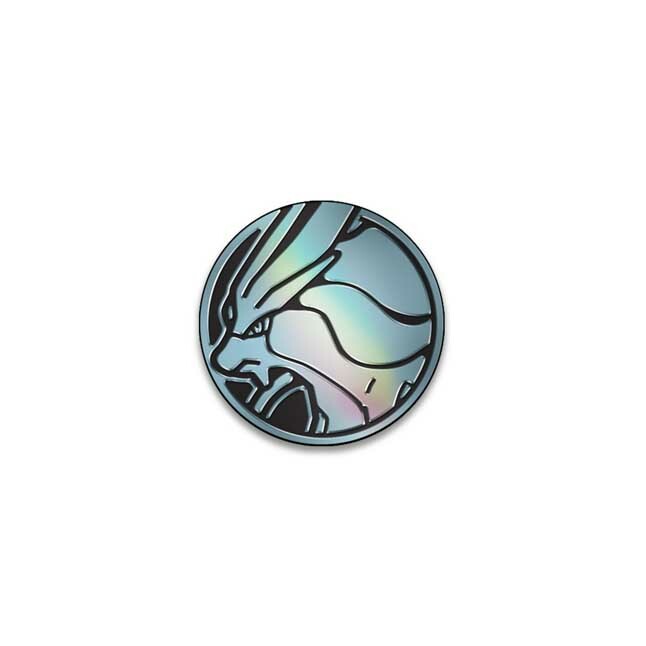 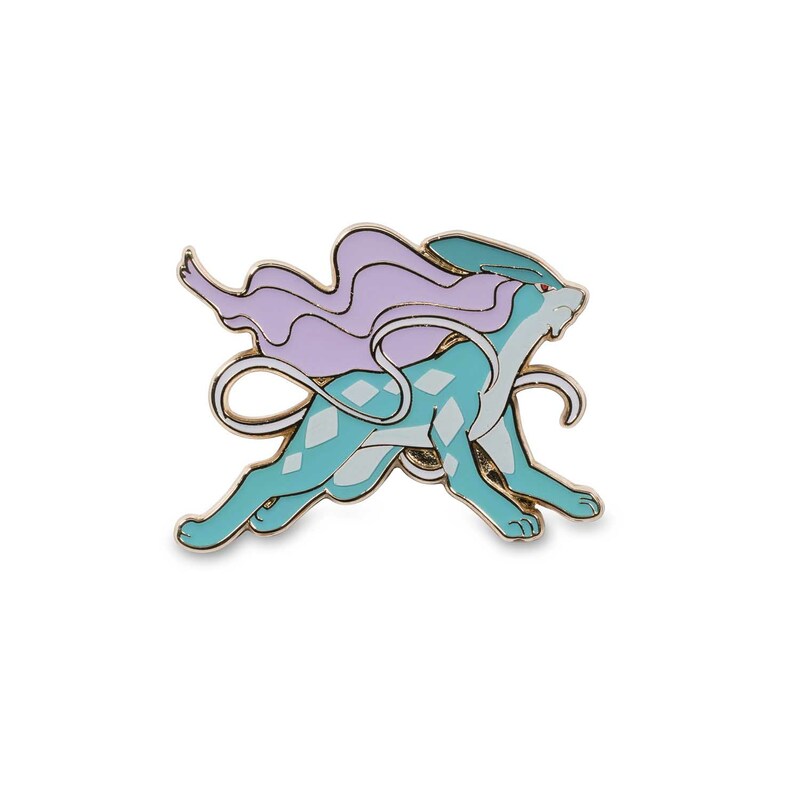 You get two Legendary Pokémon-GX as playable foil promo cards, plus a bright pin and coin featuring Suicune. 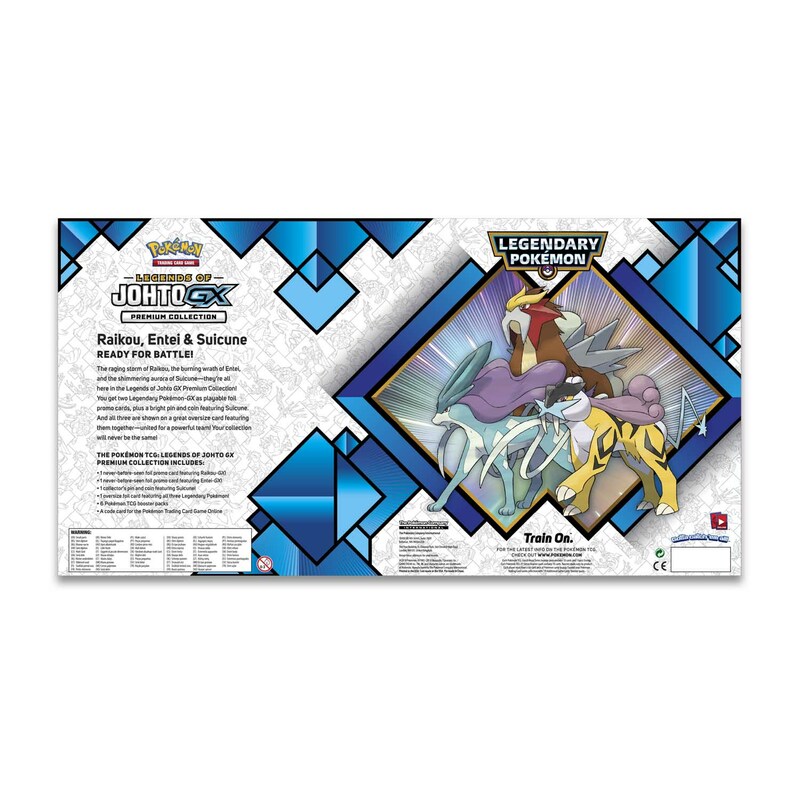 And all three are shown on a great oversize card featuring them together—united for a powerful team! 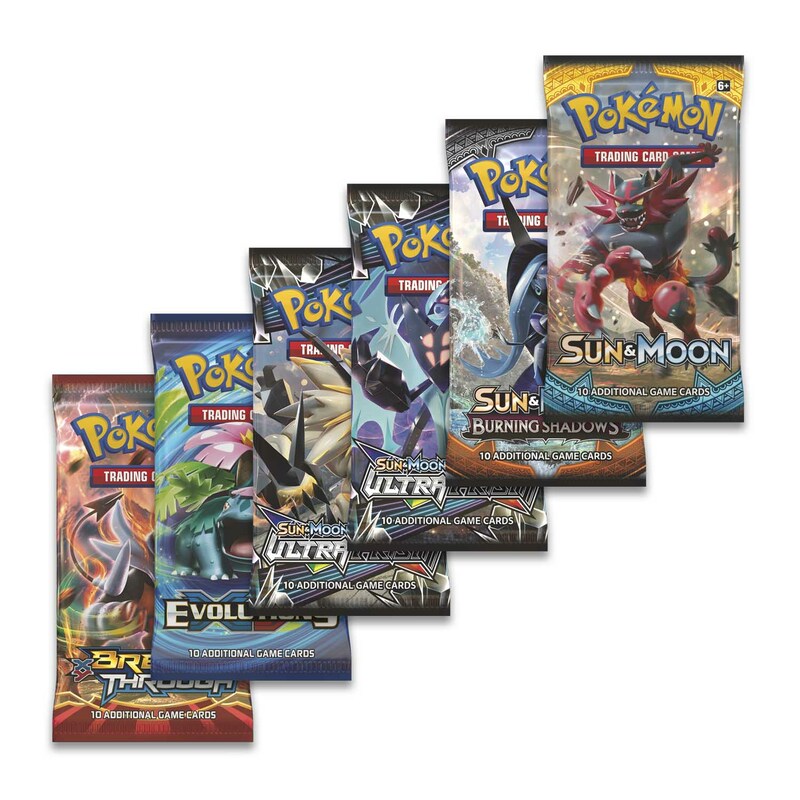 Your collection will never be the same!